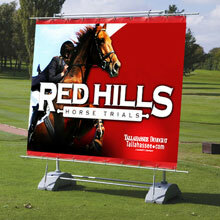 Our extensive range of outdoor signage, pavement stands and flags are manufactured from premium quality materials and are built to withstand the elements. 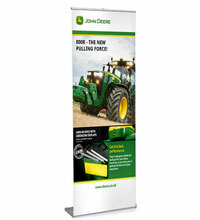 Whether it be an A-board, swing sign, outdoor banner or feather flag there is no better way to advertise your company and services outdoors. RAL Display has been supplying external signage for over 35 years so we have the knowledge and expertise to guide you through the numerous options available. Who Buys These Types of Stands? If you were to walk down any high street you would see countless pavement signs outside shops, hairdressers, estate agents, clothes shops and cafes/restaurants. 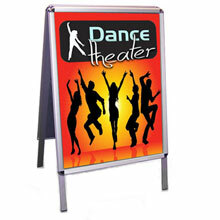 A-boards and swing signs are used to advertise daily specials, pricelists, cocktails hours, free Wifi, student discounts, special events and any other general information. Most of these A-board style signs allow posters to be changed as often as required using either a standard snap frame or magnetic pocket. Perfect for every day usage they are relatively low-cost items suiting even the tightest of budgets! 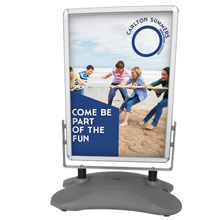 Most outdoor displays are double sided so it doesn’t matter what direction people are approaching, your message can be clearly seen from all viewpoints. 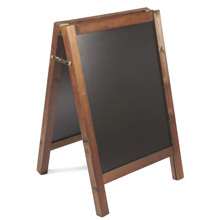 The A-Board style pavement stand has a stylish metal framework that folds flat for easy storage/transportation. By transportation we are referring to brining the unit indoors once your premises are closed so it can be safely stored overnight. 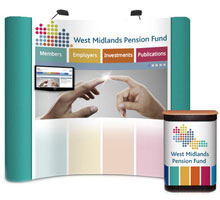 This option comes with either an A2,A1 or A0 poster display. 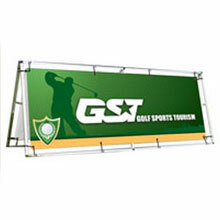 Our pavement swing signs accept A1 posters and offer excellent stability. They come with a water filled hollow base which has a robust plastic wheel so again the unit can be easily brought in after hours. 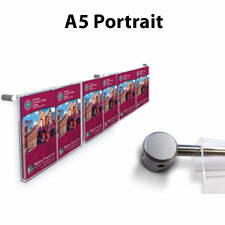 Posters can be replaced on a regular basis and are held securely in position with a magnetic transparent pocket. If you are looking for a more robust pavement stand then why not consider our SNAP heavy duty pavement sign available in A1 & A0. 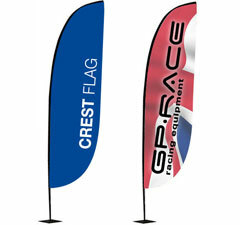 Popular with car forecourts, petrol stations and supermarkets. 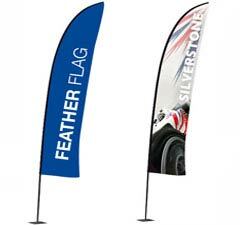 Our range of flags covers three popular shapes including the bestselling feather flags as well as several different height options. 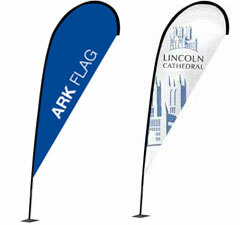 Perfect for outdoor events and promotions. If you require more information on any of our products, please contact our friendly sales team today on 0116 2554640 or sales@ral-display.co.uk.